Drejka appeared "more angry" than remorseful during the shooting, according to a bystander. 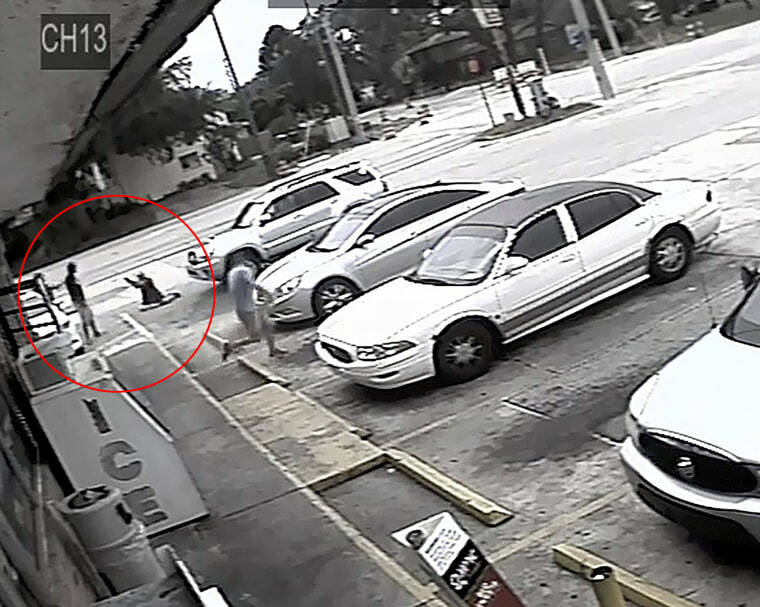 As the Florida man at the center of a fatal "stand your ground" shooting in July was freed on bond Monday, hundreds of pages of sheriff's documents were released — shedding light on his mindset during the tragic encounter. According to the documents, one witness told a detective that the gunman, Michael Drejka, appeared "more angry" than remorseful and immediately justified the shooting to those who watched what unfolded at the Circle A convenience store in Clearwater. Bystander Robert Castelly said Drejka was muttering to himself: "'I just shot someone. What'd you think was gonna happen? He shouldn't have ran up on me.'" Another witness, Vicki Conrad, said that she didn't hear Drejka say he shot someone, but that after the incident she was struck by his behavior, according to the sheriff's department documents. "His demeanor was, you know, uh, like, proud," she said in a transcript with a detective. "I don't want to put words in your mouth, but like didn't care? Is that what you mean?" the detective asked. "Yeah, yeah. And, like, it's all cool, you know," Conrad said. Authorities have not detailed what words may have been exchanged when Drejka, 48, shot Markeis McGlockton, 28, in the moments after McGlockton pulled into a handicap parking space at the Circle A. While McGlockton and his 5-year-old son went inside the store, Drejka — unprompted — began examining his car to determine whether it had the correct decal, police said. He then got into an argument with McGlockton's girlfriend, who was inside the car with their two other children. When McGlockton exited the store, surveillance footage showed him shove Drejka to the ground. Drejka pulled out his gun while still down and paused before shooting McGlockton, although it looked as if McGlockton was backing away. Drejka was not arrested immediately after the shooting because he was considered to be defending himself when he shot McGlockton, said Pinellas County Sheriff Bob Gualtieri. But that decision lead to protests over perceived bias, as Drejka is white and McGlockton was black. Nearly a month later, local prosecutors charged Drejka with manslaughter and a judge set his bond at $100,000. He faces up to 30 years in prison if found guilty. An attorney for Drejka could not immediately be reached for comment Monday. In an interview with detectives in the hours after the deadly shooting, Drejka said he and McGlockton's girlfriend had been having a verbal argument over the parking space, but then he was "blindsided" when McGlockton came out and shoved him to the ground. He said believed that McGlockton was stepping toward him, and his life was in danger. "I've never been in that situation before," Drejka told detectives. "First thing I think if I'm getting hit like that, somebody's coming at me for more." Attorneys for McGlockton have said he was only trying to defend his family from Drejka, and that while McGlockton may have used force in pushing Drejka, that didn't need to escalate with a firearm. A pretrial hearing in the case has been scheduled for Oct. 19.